Another month gone by! It’s time for Echidna Giving’s take on news related to girls education. There was a flurry of activity this month around the UN General Assembly. In this edition of the Puggle, we highlight three themes that stood out for us: (1) disaggregate your data; (2) think early when it comes to education and gender; (3) share globally. The Sustainable Development Goals are built on a foundation of equity: ensure that all girls and boys are educated. 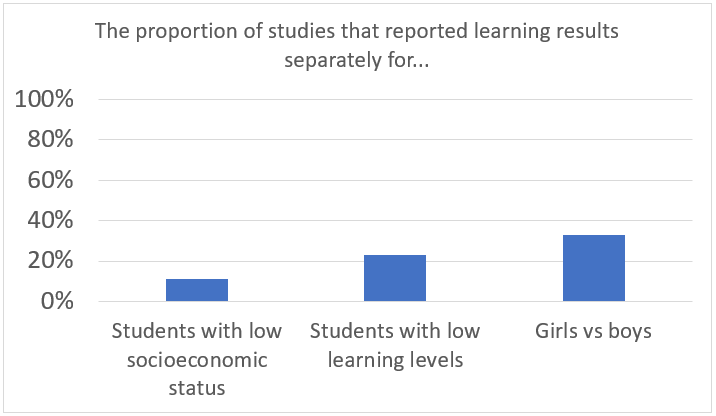 And yet Dave Evans and Fei Yuan find that among 281 recent impact evaluations of learning interventions, only 1 in 10 show outcomes for low-income students, fewer than 1 in 4 share outcomes for low-performing students, and only 1 in 3 disaggregated by gender. This makes it difficult to know which children are benefiting from education innovations. The idea that early childhood education matters is increasingly accepted. The Early Childhood Development and Action Network has started tracking countries’ progress. The latest edition of the Global Education Review provides perspectives from around the globe on Early Childhood Education, sharing evidence on the lasting impact of preschool, lessons for scaling up interventions, and insights about how culture can clash with curriculum. What’s not the subject of any of these articles? Gender. Jin Chi, a current Echidna Global Scholar at the Brookings Institution aims to rectify this. 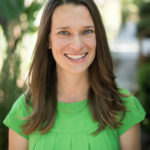 She writes about the striking fact that “a gender perspective in early childhood education has been largely overlooked” despite research showing that gender stereotypes start young. (Check out the impressive work of all the Echidna Global Scholars here.) We were privileged to participate in a conversation about the intersection of early child development, violence prevention, and fatherhood/gender transformative parenting. We hope these are signs of a broader trend. The Education Commission launched a new report about the imperative of Investing in Knowledge Sharing to Advance SDG 4. It argues that the education sector should invest more in this by funding global public goods, capacity development, and networks. Strikingly, “only 3% of official development assistance (ODA) in education is allocated to producers of global public goods,” compared with 21% of ODA in health. We also participated in a panel that explored how philanthropy can support effective networks and knowledge sharing. A major theme was the opportunity foundations have to support knowledge and networking grounded in low-income countries to feed up to the global, rather than the other way around.